How does probation work in Wyoming? Probation can either be unsupervised or supervised. Unsupervised probation generally goes along with a misdemeanor conviction. It can be up to six months. The court will generally order terms and conditions that the court feels will allow you to successfully complete the probation. They will require no alcohol consumption, no bars or liquor stores and any counseling that may be necessary in order for the court to believe that you would not re-offend. You also have certain fines to pay and a schedule to pay those fines. Supervised probation generally goes along with a felony and you’ll have a probation officer. That probation officer will require you to come in and take tests for substances like alcohol or illegal controlled substances. They will come to your home randomly to make sure that you’re following the court’s order. 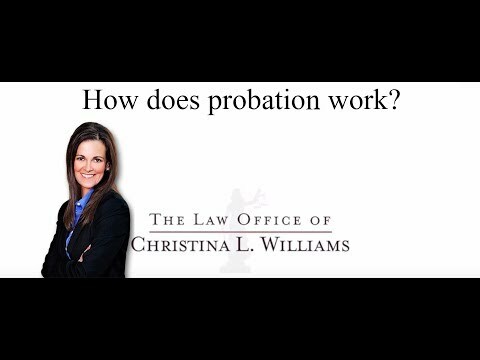 You have a probation officer, which is actually an extension of the court that is put in charge of you during that probation. The probationary period can go on for years. You are always entitled to request an early release from probation if you’ve done well and the probation officer believes that your supervision is no longer necessary.